This male caucasian patient was born in 1963 of consanguineous parents. One younger sister had been diagnosed at age 28 as having NA. She died of suicide at age 39. At the time of her diagnosis, 2 of her 3 brothers, including patient 1, had mild signs on examination, but no symptoms. These two brothers had decreased tendon reflexes, elevated creatine phosphokinase (CPK) and acanthocytes in the blood. One of these two brothers died in an accident at sea under unclear circumstances. The other brother, patient 1, was seen for the first time in 1996 at age 33, for a first seizure for which he received carbamazepine and later also valproic acid. An MRI scan at the time was normal. Electromyography (EMG) showed a mild polyneuropathy. Electroencephalography (EEG) was normal except for slight bilateral irritative activity in the temporal lobes. Clinically he showed occasional orobuccolingual dyskinesias, vocalisations and other stereotypic movements of the face, neck and throat. There was almost complete areflexia and saccadic eye movements but no ataxia. The CPK was elevated at 1,059 U/L (normal < 200 U/L for males), and in the blood there were 10% echinocytes. Kell antigens showed a normal pattern. An FDG PET scan of the brain showed a reduction of striatal glucose utilisation (Fig. 2). Repeated neuropsychological testing showed a moderate decrease of executive functions and verbal fluency. During the next few years chorea gradually developed giving rise to increasing difficulty with walking and to dysarthria. Under antiepileptic coverage, risperidone was tried at a dose of 2 mg twice daily. This had a positive effect on the chorea, but was soon stopped because of increasing seizure frequency. 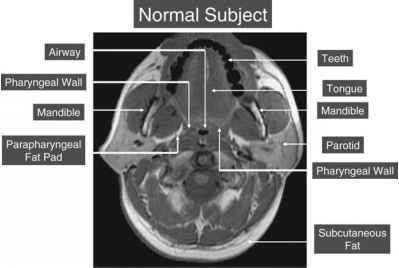 A repeat MRI showed caudate nucleus atrophy. Serum CPK rose to high levels (between 5,000 and 7,000 U/L). In 2004 the blood of this patient was tested for mutations of the VPS13A gene and homozygous deletions were found of exons 8 and 9 . Over the next few years his condition worsened gradually and in 2006 he died suddenly at age 43 without witnesses under unclear circumstances.